Flat mopping is fast and easy to use providing greater results. An ideal cleaning product used in hospitals, hotels or schools. 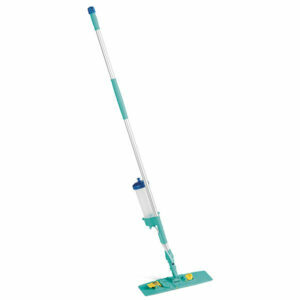 Flat mopping is more efficient and effective compared with traditional mopping. A complete self contained colour coded microfibre mopping system for maintenance and disinfection of hard floors. Fast mop change with minimal bending and reduces cleaning times by up to 50% reducing labour costs and improving productivity. Tool for disinfection complete with: aluminium handle with polypropylene grip and knob for distributing the product, refillable plastic container with capacity 650 ml and Blik frame cm 40. It is characterised by extreme light weight and is very practical to use, which considerably reduces work times. The container is composed of a cover with a cap which, when lifted, allows the internal pressure to be eliminated from the container. The transparent, graduated tank makes it easy to check the amount of liquid available. Chemical product delivery is adjusted by pressing the knob. When pressed and rotated clockwise, the knob locks to permit continuous product outflow. Stop product outflow by turning the knob counter clock wise. The particular formation of the pipe means that the liquid solution falls directly onto the floor, where it is then distributed when the cloth under the plate passes over it. Since the chemical solution never comes in direct contact with the dirt, it is not altered, thus maintaining its own characteristics over time. Easy to clean and with compact dimensions, it can be sterilized in an autoclave. Blik support, a plastic frame, efficient and healthy, suitable to all flat mops with pockets. Thanks to a round yellow button you can open the frame comfortably and silently. 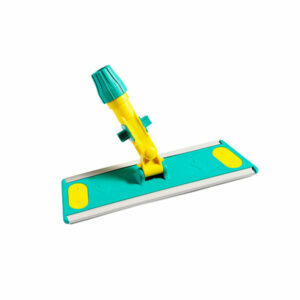 Rounded edges to insert mop heads more easily and a flat bottom to exert an even washing pressure on the mop head, for more effective cleaning. With automatic patented hooking system for better ergonomics, any mop head with pockets can be clasped on the frame, with no more bending during washing and very few contacts with dirt and chemical solutions. Light, handy and ecological, as it is made of first-rate plastic materials. 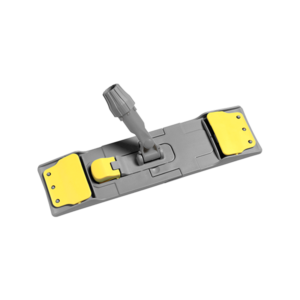 Its 360° articulated joint allows the operator to move it quite easily, reaching even portions of floor under furniture. The universal ring allows the use of any handle with a diameter ranging from 18 to 23 mm. 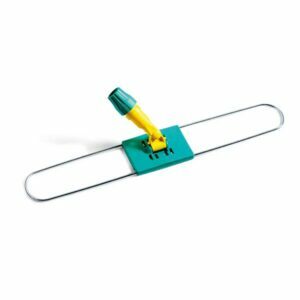 High quality plastic break frame to be used with mops with flaps. Mop remains hanging on the frame when being rinsed and pressed. Button to open it comfortably and silently. Light, handy and ecological, as it is made of first-rate plastic materials. 360° articulated joint allows the operator to move it quite easily, reaching even portions of floor under furniture. The universal ring allows the use of any handle with a diameter ranging from 18 to 23 mm. 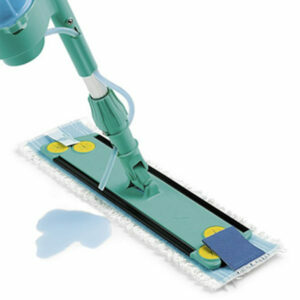 A complete self contained colour coded microfibre mopping system for maintenance and also disinfection of hard floors. Fast mop change with minimal bending in addition to reducing cleaning times by up to 50% reducing labour costs and improving productivity. 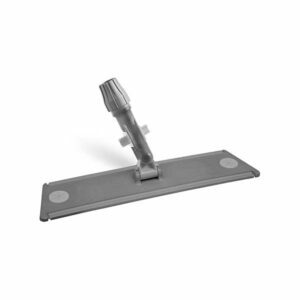 Strong steel and plastic constructed dust frame to be used with sweeper head mops to remove excess dust prior to mopping or for maintenance. Available in a range of frame sizes to enable cleaning of small to larger areas. 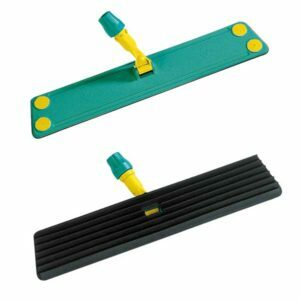 Polypropylene frame with velcro system for velcro mops and also with plastic disks for cloths. Equipped with Block System to clean ceilings and walls. It can be switched on/off with the foot, no bending necessary. Its 360° articulated joint allows the operator to move it quite easily as well as its ability to reach portions of floor under furniture. The universal ring allows the use of any handle with a diameter ranging from 18 to 23 mm. 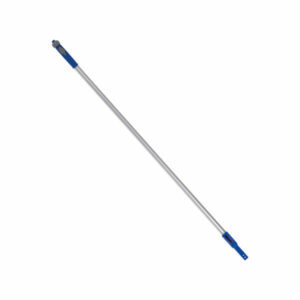 Dust mopping reduces the frequency of more expensive and time consuming wet mopping methods. The lamello dry dusting system allows dust to be collected on smooth floors prior to washing or use to just simply maintain. 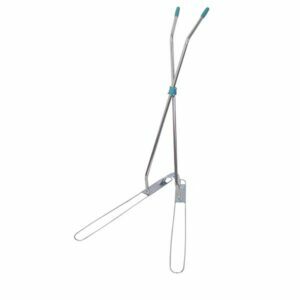 Polypropylene frame with rubber blades, Rustproof and sterilizable up to 120° C. The rubber blades are made of a compound of thermoplastic elastomer. 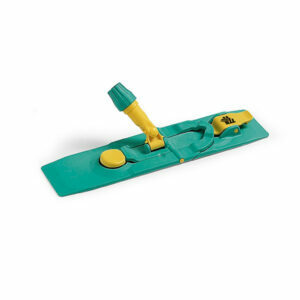 The Lamello is used with soaked cloths for floor dusting, pulling it in only one direction thanks to the particular inclination of the rubber lamellas, which adhere perfectly to the surface. Its 360° articulated joint allows the operator to move it quite easily, reaching even portions of floor under furniture. The universal ring allows to adapt handles from 18 to 23 mm of diameter. 'V' sweeper frame used for dry dusting large areas such as factory floors, airports, shopping centres etc. High quality velcro frame and plastic disks for mops. Equipped with Block system to clean ceilings and walls. It can be switched on/off with the foot, no bending necessary. Its 360° articulated joint allows the operator to move it quite easily, reaching even portions of floor under furniture. The universal ring allows the use of any handle with a diameter ranging from 18 to 23 mm.